If you have a SmartThings hub and a Google Home, you may have noticed that the two haven't been playing nice together since July. The issue was brought to our attention when we covered the SmartThings Hub 50% off deal a couple of days ago, and as I understand it (I don't have an ST hub myself), it seems that many users noticed that devices already added by SmartThings in Google Home either weren't operational anymore or that when they tried to do the integration for the first time, Google Home would import all their smart devices without giving them the choice to pick or exclude. Those with an elaborate smart home found everything jumbled together, and those who tried to "turn off all" through Google Home soon discovered that really all of their devices were being turned off, not just the ones that make sense. SmartThings blamed it on Google, Google stayed mum, users discovered the issue happened with Alexa too (but at least Alexa allowed them to remove devices they didn't need, which the Google Home app doesn't), and long story short: it wasn't clear if that was ever going to be solved and by whom it would be. The good news is that now the problem has been fixed, and it's been done elegantly if you ask the SmartThings community, with most users saying things are back to normal for them. 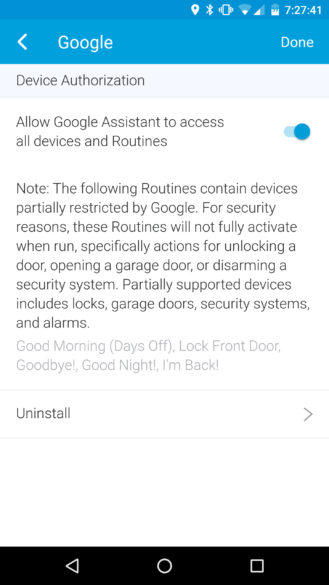 You will first need to remove SmartThings from your Google Home devices, then re-add it. It will still import all devices, but you'll need to head over to the SmartThings app, then the SmartApps section, and look for a new "Google" smartapp that should automatically show up there. By default, the smartapp has the toggle turned on to allow Google Assistant access to all ST devices and routines. But if you toggle it off, you will get a list of your ST devices and you can enable or disable each one individually. Noice! 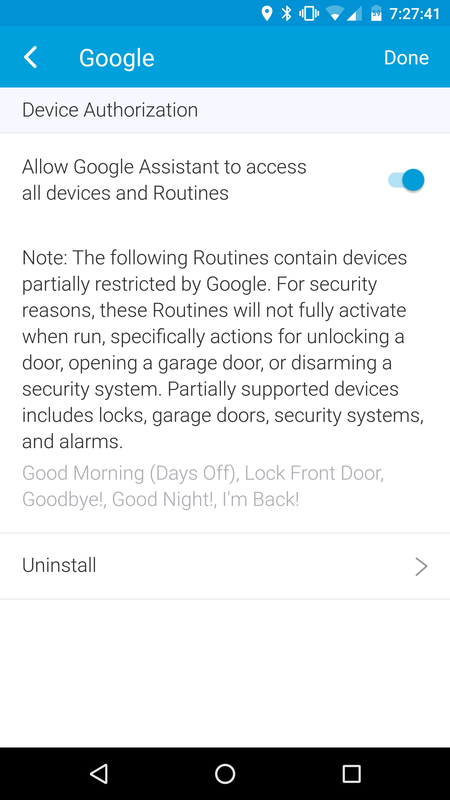 At least it seems that way you can enable and disable any of your SmartThings devices as you see fit from the app, without having to dabble with the Google Home app. Let us know if things are working back again for you.